Br. Fabio is coordinator of the CODASC (Diocesan Management of Social and Charitable Activities) program in Cameroon. Awa walks four miles every day, not as part of a fitness program but to draw water from a distant village well. Her water tank holds six gallons that she carries back home on top of her head as it is customary here in Africa. Awa is only a ten-year old girl and this is her assigned daily task on her way home from school. Awa’s mother, Amina, and her older sister Fadimatou carry out the same task every single day of the year. In the African tradition, providing for drinking water for the family is a chore assigned to women. With patience and resignation, generation after generation of women has assured that their families have this most vital supply for their daily use. However, with the increase in population the demand for water has also increased, and the old village wells are not sufficient any more. In the course of the rainy season, from June to October, women store in clean (and less than clean) containers all the rain that they manage to collect from the roofs of their huts. This expedient offers some small, temporary relief from the heavy task of water gathering. Unfortunately, this unsanitary method provides water of a much lesser quality because insects, leaves, and dust fall into the improvised containers and risk contamination of the rainwater. Water contamination is responsible for “water-related” illnesses such as cholera, typhoid, diarrhea, and infestation with intestinal parasites. Every year, these water-related illnesses are responsible for about 5% of all deaths in our region. Those most at risk, of course, are children, those already ill, and the elderly. At any rate, in this region so close to the desert, with rainfall limited to about four months a year with eight months of complete draught, every drop of water is very precious indeed. Nobody dares waste any of it. The official objectives of some World Organizations auspicate the availability of five gallons of water for each inhabitant of our planet per diem. As I mentioned above, little Awa can carry home up to that quantity of water a day. However, that quantity is not just for her but also for her father, grandfather and her four brothers. According to those lofty objectives then, Awa, her mother and sister should walk those four miles going, and four coming back from the well, at least three times a day, every day. In order to solve the humanitarian and social problems faced by the women living in these 14,000 square miles within the diocese of Yagoua, CODASC has been created. That acronym stands for Diocesan Management of Social and Charitable Activities. One of their activities is the “Hydro-Rural Service.” This service accounts for some 80 artesian wells per year to provide sufficient clean water to the villages in the area. Villagers, on their part, commit themselves to the proper upkeep of their well pump. All of us from developed countries should keep in mind that the quality of water depends a great deal from the depth of the well: the deeper the well, the better the chance that the water is truly uncontaminated. To this end, the issue of reaching depths of about 240 feet has to be addressed. In our region where the soil is made up mostly of sand and clay, the hole can be bored with manual labor. Able men rotate the perforated steel shaft which has a special bit at its end. Water pressure pumped in brings to the surface sand and clay. Once the debris is filtered, the same water is recycled and pumped back into the hole. The completed hole is lined with plastic pipes that are kept in place and protected on the outside with fine gravel. The gravel serves also as natural purifier of the water. The plastic pipe is fitted with a manual or foot-operated pump. The women can fill their tank in less than 60 seconds! A few weeks ago, Awa’s village witnessed a miracle when the team from CODASC arrived there to start the drilling. Three months earlier the village chief had gathered all heads of families to inform them of this golden opportunity of making water readily available to all villagers provided that each family would chip in a chicken or 10 pounds of millet. 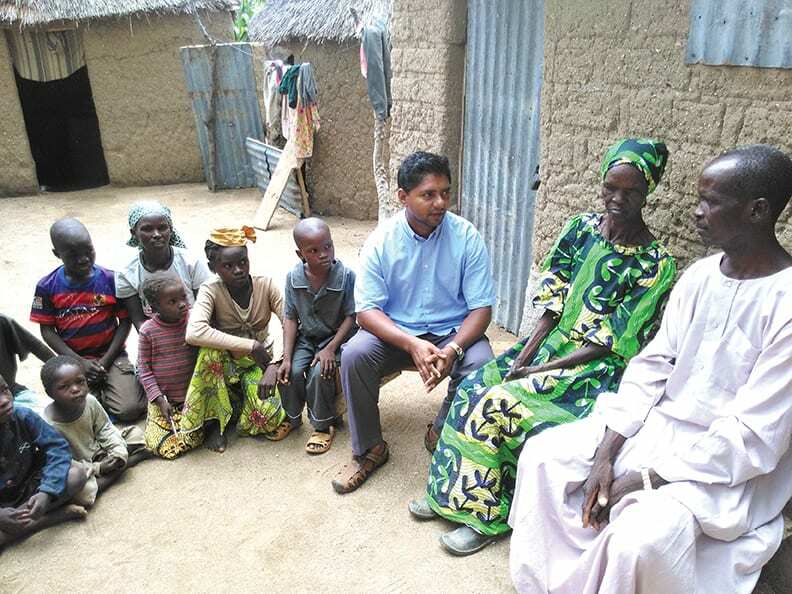 The chief had told them that, with the availability of clean water, the village would witness a substantial decrease in illnesses and deaths, even if the rainy season were to be late. Most heads of families agreed and, thus, on a Monday morning, two pickups showed up with all the equipment for the drilling of the well. The depth of this particular well is 170 feet. Once the pump was installed, there was a spontaneous, joyous celebration as soon as the first stream of water shot out from the ground. The elderly kept shaking their heads in disbelief; they could not yet come to grips with the pleasant reality of water being so readily available to them around the clock. That night, Awa dreamt serene dreams because of the joy of having found this most precious treasure that had been hidden deep in the ground for so long. The value of a treasure should be measured by the length of time that we can keep it in our possession. This is certainly the case with the water in the subsoil of these pre-desert regions of Africa. In the last eight years, the combination of increased population and climatic changes has caused the lowering by some 30 feet of the aquifers. 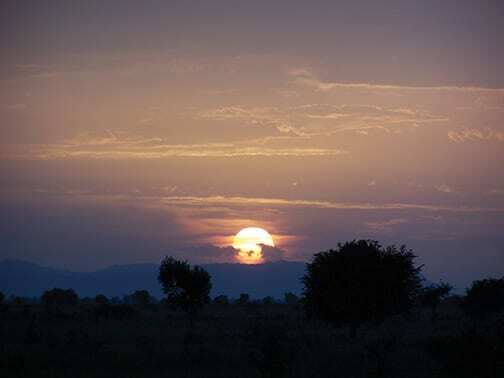 Consequently, if the African population increases at the annual rate of 3% and the climate variations remain what they are now, by the year 2020, the first aquifers can be reached only by drilling past 200-210 feet. True, water would still be available, but not by drilling with the manual labor method used so far. Consequently the cost of drilling would increase substantially. What seems advisable, therefore, is to find ways to properly collect and keep as much as rainwater as possible. This rainwater falling during the short rainy season would then be channeled back into the soil to replenish the aquifers. We cannot expect immediate results, but it would be foolish and dangerous not to be proactive in order to do everything soundly possible to preserve the water supply and avert a situation that is still so trying for scores of girls of Awa’s age. Most of the burden rests on the shoulders of state and local authorities of the Cameroon Nation and its people. However, Christian and humanitarian solidarity should call on all of us to contribute to the improvement of the living conditions of these people. Wars, conflicts of all kinds, epidemics, and humanitarian catastrophes can be avoided by simply engaging ourselves in a direct and responsible way to provide for those in need something as simple as clean water well or a rainwater reservoir. Skilled personnel and adequate technical and administrative support are now available through agencies such as CODASC in the diocese of Yagoua. At times what is missing is only sufficient money to perform a miracle like the one in Awa’s village.